The "Absolute Towers" is a gradually rotating skyscrapers that was designed by Chinese firm, MAD Architects. 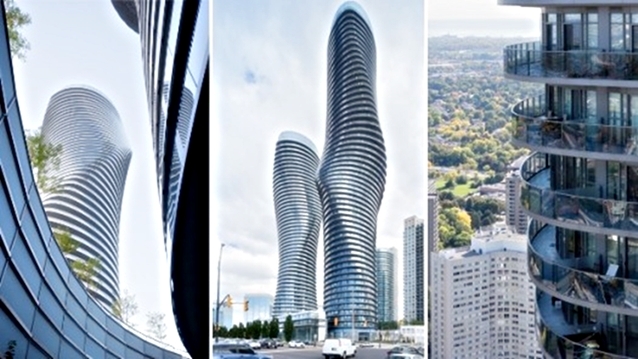 A new landmark has given life to Ontario, Canada’s urban landscape. The “Absolute Towers” has already been completed and it is a sight to behold. Nicknamed the “Marilyn Monroe towers”, this towering building is not your regular skyscraper. It twists and is known for its curves. The twin structure has a gradually rotating oval floors. Each towers measure at around 492 and 557 feet. It was designed by China’s design firm, MAD Architects.